On a trip back from Island Beach Park in New Jersey I meandered up along the Delaware River and thru Delaware Water Gap. I found a series of waterfalls Dingmans Falls, Factory Falls, Raymonds Kill Falls and Bushkill Falls. 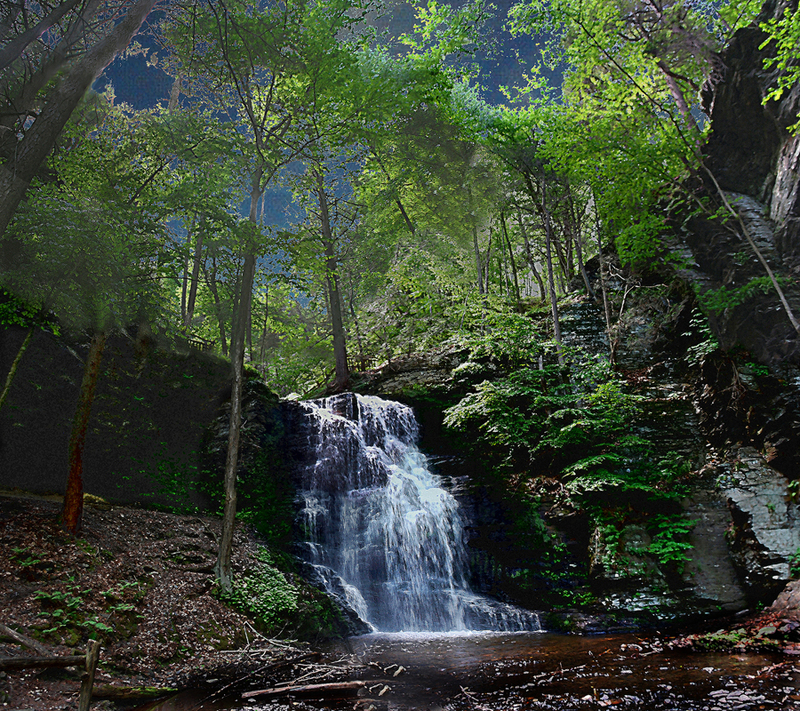 Bridal Veil Falls are part of the Bushkill Falls and the first of them for me to print. I can do signed prints, matting and framing from my home studio. Prints up to 15" wide and 23" long (for now, longer prints coming).